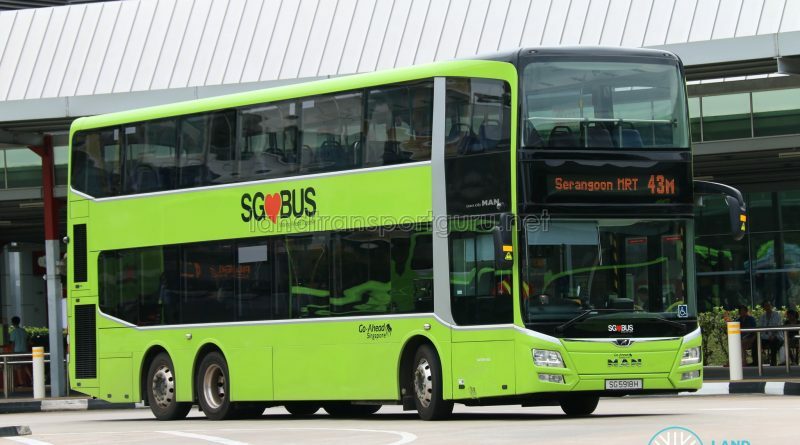 Go-Ahead Bus Service 43M is a trunk service plying between Punggol Interchange and looping at Serangoon Central, passing through Sengkang East Road, Buangkok MRT, Buangkok Green and Yio Chu Kang Road. 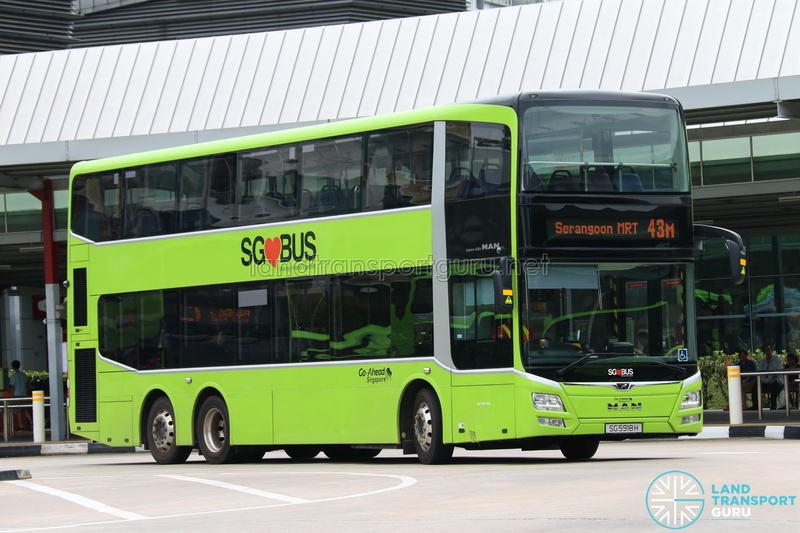 It is a route variant of Service 43, introduced under the Bus Service Enhancement Programme (BSEP) and was launched on Sunday, 16 November 2014. Service 43M is a supplementary route of Service 43, duplicating its parent service between Punggol Bus Interchange and Serangoon Central. It relieves demand and improves reliability of bus services for commuters along Service 43’s most crowded stretches of route. It was launched on Sunday, 16 November 2014. The service operates daily from 5.50am to 11.05pm, serving residential areas around Punggol Way, Sengkang East Road, Sengkang Central, Buangkok Green, Yio Chu Kang Road and Serangoon Central. It will provide better access to key transport nodes such as Punggol and Serangoon Bus Interchanges, Punggol, Buangkok and Serangoon MRT Stations, amenities such as Ren Ci Hospital & Medicare Centre, Serangoon Sports & Recreation Centre and NEX as well as schools such as Hougang Secondary and Hougang Primary. Shortworking trip 43A, which plied from Buangkok Green to Serangoon Central, was withdrawn after the introduction of 43M due to duplicating sectors. So were evening downroutes of Service 43 which started from Serangoon Central to Punggol Interchange. While Service 43M serves Boundary Road, it skipped the bus stop outside Serangoon Stadium (63149 S’goon Stadium) as its parent Service 43 does not serve that stretch of road, which was later amended to call at that stop from 24 Jan 2016. All bus stops along Service 43M’s route are also served by Service 43.